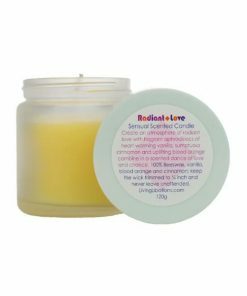 Our benevolent Beeswax Candles are crafted with pure beeswax that happily holds the aromatic delights of volatile essential oils. Once lit, the beeswax slowly releases, unleashes the scented molecules to mystify the mind, gladden the hearth and amplify the heart. Humans have used beeswax candles since we first learned how to make fire. The ancient Egyptians began using wick beeswax candles as early as 3000 BCE, while the ancient Romans created candles by dipping papyrus in melted beeswax. Beeswax candles are renewable, biodegradable, hypoallergenic, and environmentally friendly. They have a higher melting point than paraffin or soy-based candles, which leads to longer burning times with very little dripping. The longevity of beeswax candles is another bonus when compared to chemically based candles. Pure beeswax candles also uniquely emit negative ions into the air. Negative ions cleanse and purify the air of toxins. When we breathe in negative ions, such as those emitted by trees, mountains, or waterfalls, we feel more relaxed and optimistic. Most commercial candles are made of paraffin, which is a by-product of petroleum. Paraffin contains a dozen different toxic compounds, and when burned, emits toxic smoke similar to that of diesel fuel. The process also includes bleaching, and dioxins, known toxic compounds that are considered environmental pollutants, are created in the bleaching process. From there, a synthetic ingredient called acrolyn is added to the liquefied, bleached petroleum to solidify the product into candle form. Synthetic fragrances and dyes are also added, which contribute to the toxic cocktail when the candles are burned. Soy-based candles aren’t much better. The wax used to make soy candles is solvent extracted from genetically modified soy seeds. The soy plants are grown using chemical pesticides and insecticides that make their way into the candles through the seeds. While some soy candle makers blend other oils and waxes into this GMO recipe, all soy candles contain the wax of GMO soy seeds. Soy candles also undergo bleaching to remove the natural color of the soy seeds. They are then hydrogenated using high heat and heavy metals like nickel. The only candles available today that are free of chemicals, carcinogens, and GMOs, are 100% beeswax candles. Used since time immemorial, beeswax candles burn brighter and longer than chemical candles thanks to the offerings of Mother Nature and her happy honeybees. 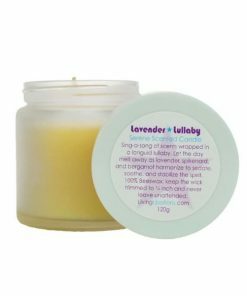 Our Living Libations Candle collection includes our Radiant Love, Deep Breathing, Lavender Lullaby, Trees Please, and Sacred Sage candles, all of which are 100% beeswax blended with beautiful, organic essential oils for completely natural illumination.